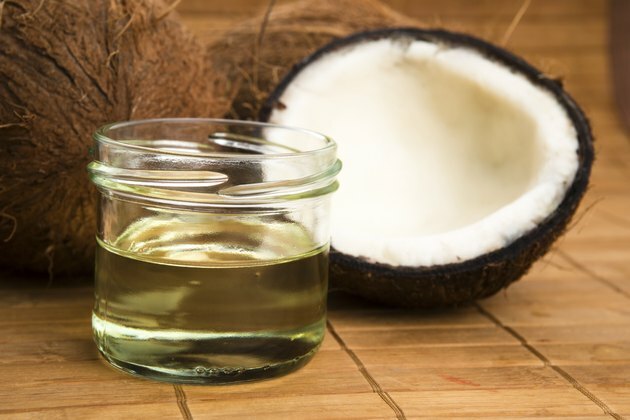 Coconut oil is a “good fat,” according to Dr. Weston Price, a dentist who traveled the world discovering the benefits of this oil consumed by the people of the Pacific Islands. Essential fats, such as fish oil, are fats that must be in our diets. Even though coconut oil isn’t essential, it is a powerful saturated fat with many benefits. Coconut oil supplements can boost immunity, help fight illnesses and aid in digestion. Why Are Coconut Oil Supplements Beneficial? Coconut oil contains three important fatty acids that prevent illnesses. They are lauric acid, caprilic acid and capric acid. Fifty percent of the fatty acids found in coconut oil are lauric acid, according to coconutoil.com. In the body, lauric acid converts into monolaurin, which is responsible for fighting off viruses and bacteria. According to Dr. Jon K. Kabara, researcher on lipids at the University of Michigan, the only source of lauric acid besides coconut oil is from a mother’s breast milk. Dr. Kabara, who wrote the book “Fats are Good for You and Other Secrets,” discovered in conjunction with the Centers for Disease Control that fatty acids, including lauric and capric acids, have adverse effects on certain microorganisms lying stagnant in the body. The saturated fats in coconut oil are referred to as medium chain triglycerides, which means that the saturated fat chain is shorter than that of animal fats. The body handles the medium chain fat in a positive way. Medium chain triglycerides metabolize quickly and will not store as fat. Caprilic acid aids in digestion, balancing the bacteria in the gut. According to Dr. Weston Price, monolaurin also inhibits arteries from clogging, therefore aiding in prevention of heart disease. There are advantages of taking a coconut oil supplement versus taking the oil straight from the jar. The oil has a particular flavor and can be distasteful. The supplement provides no aftertaste, unlike some fish oil supplements. Also, capsules are easy to transport and take up very little space. The capsules are convenient for travel. The oil from a glass jar is great for cooking, but it can harden when in a cool place and become tough to scoop out. Dosage should be carefully monitored. It is wise to start with a small amount. According to Udo Eramus, author of “Fats that Heal, Fats that Kill,” a good quick source of energy for athletes would be 1 tablespoon. More than that might upset the stomach. For optimal health, he recommends 10 grams daily. There are certain factors to look for when shopping for coconut oil supplements. The capsule should be free of additives and lubricants. An organic label and easily absorbed capsules will ensure quality. It is also helpful to know the source and manufacturing process of the oil. What Are the Benefits of Flaxseed Oil Pills?